Healthy hair starts at the scalp, by nourishing + stimulating blood flow + de-congesting follicles + moisturizing hair shaft, this serum encourages long & healthy hair. New research is emerging that shows SANDALWOOD may increase hair growth, and this contains two types! Apply to Scalp overnight + shampoo out OR Use sparingly on thin spots. Hibiscus Infused Maracuja offers nourishment to hair + scalp. Organic Argan Oil : Over the last few years has become a very hot ingredient, and with good reason. Argan oil is packed with Vitamin E, acting as both an antioxidant and improves elasticity. It helps reduce signs of aging and even wrinkles + age spots. It won’t clog pores, and the tree takes almost forty years to mature. This rich golden oil is truly beneficial for all skin types. Organic Hemp Seed Oil : Helps unclog follicles and nourish hair + scalp. Rich in omega fatty acids that provide skin with building blocks for healthy cells. It also happens to be anti-inflammatory, helping with everything from Keratosis Polaris to Eczema and dry skin. Considered a ”dry" oil, it quickly absorbs into the deepest layers of skin. Rich in Linoleic Acid, it helps keep sebum from becoming thick and actually helps unclog pores. Provides your cells with just what they need to be healthy + minerals + chlorophyll. It helps to keep sebum from becoming thick and unclogs clogged pores. It has amazing benefits for discoloration + dryness + redness + acne + wrinkles. Essential Oils encourage new hair growth! Smells of Peppermint + Coffee. Massage into scalp by using the dropper to draw lines of oil onto scalp. Add 1 full dropper to 2 tablespoons conditioner or hair mask and leave on 1 hour. May be used as a hot oil treatment by warming bottle in hot water and applying to scalp and hair. 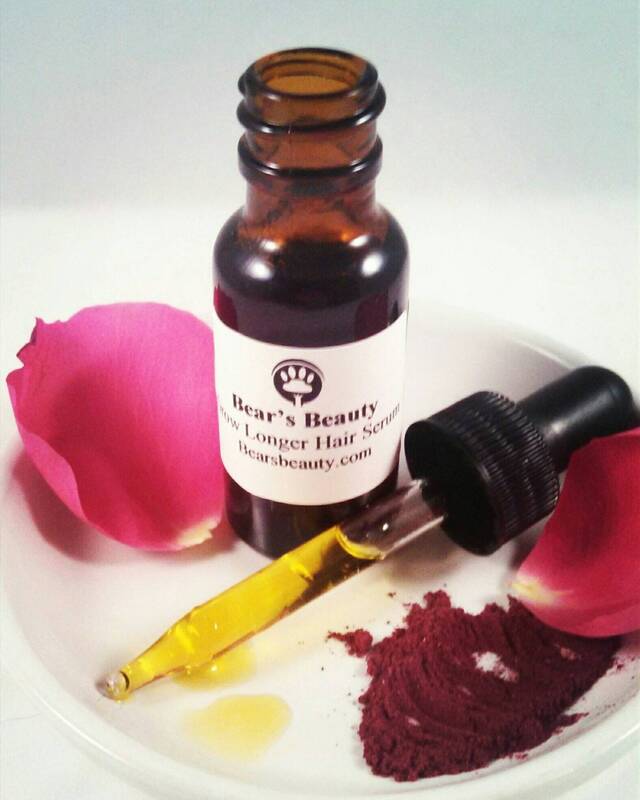 Check out the Hibiscus Stimulating Scalp Mask for the perfect partner to this amazing serum.